In a time and world where there is urgency to truly understand complex policy issues, access to impartial, high-quality analysis and advice is critical. 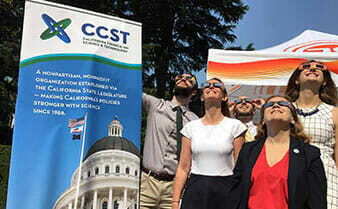 CCST’s role is to be that resource, and to leverage California’s considerable science and technology expertise and produce this kind of independent, informed advice for our State. 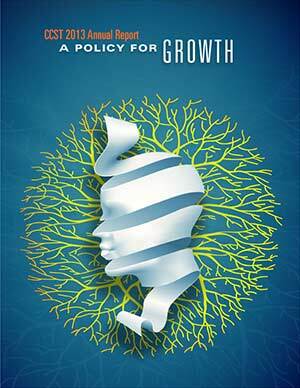 This has always been the core of CCST’s mandate, and a goal towards which we continually strive. CCST has seen significant changes over the past few years, expanding our reach and providing ever more opportunities for decision-makers to access and interface with the unique strength of CCST’s network of expertise. 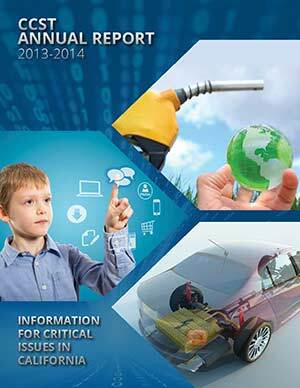 This report contains an overview of CCST’s activities from October 2014 through December 2015. This year has been particularly active, with CCST concentrating on issues with significant potential to transform the state. California is a state built on ingenuity. In both the public and private sectors, we are trendsetters and national leaders. 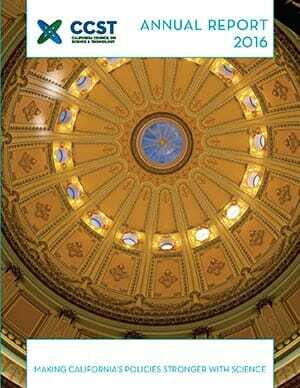 These are exciting and challenging times for California. 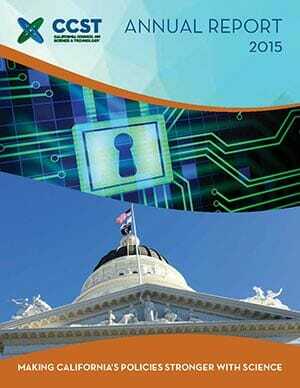 The Golden State is a high-tech trailblazer in both innovation and policy. 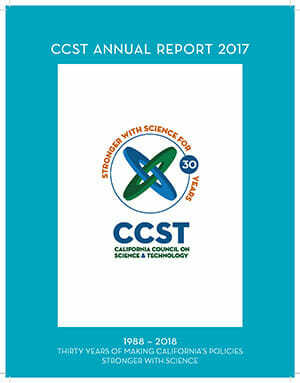 This report contains an overview of CCST's activities in 2017, and also a retrospective overview of CCST's activities and impact since its founding.